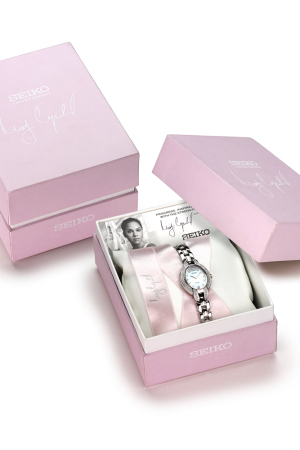 Yesterday, it was reported that timepiece retailer Seiko will release the Misty Copeland limited edition watch. According to WWD, the design for Seiko Tressia Misty Copeland limited-edition watch was inspired by the many achievements. The packaging itself bears a ballet slipper pink shade which is directly inspired by Copeland’s position as the principal dancer in The American Ballet Theatre. The watch’s design consists 24 diamonds on its bezel, a mother-of-pearl face, with a watchband cast in silver and rose-gold tone metals. This watch is solar powered and doesn’t need a watch battery. The Misty Copeland watch will be available for purchase next month to selected retailers. The retail priced for this watch is $575. Copeland serves as the brand ambassador for the brand since 2015. 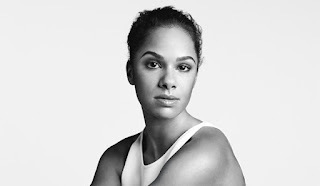 In addition to her many achievements, in 2015 Copeland was announced as the 1st African American principal dancer in the 75th year history of the American Ballet Theatre. Seiko is a Japanese timepiece brand that was founded in 1881 by founder Kintaro Hattori. Seiko’s first pocket was introduced in 1895 by Hattori. Hattori then introduced Seiko’s wristwatch in 1913. All opinions expressed on the blog appear courtesy of Tamarah Brown for My Own Sense of Fashion unless otherwise stated ©. No use or reproduction may occur without the written consent of the author.